You save $13.00 Over 43% saving! Precision engineered 6mm drivers, with Bluetooth 4.1, offers powerful and skip-free audio. 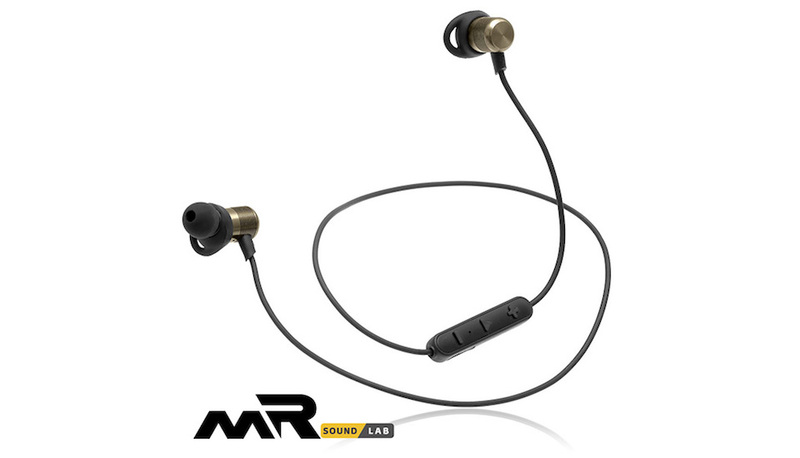 Lightweight design with customizable ear-tips and in ear-fin and hook gives anyone a strong and comfortable fit. Listen for up to 6 hours on a single charge, provides enough power for your entire day. What's included the box: Earbuds, S/M/L ear-tips, S/M/L ear-fin and hook, micro USB cable, travel case, manual. 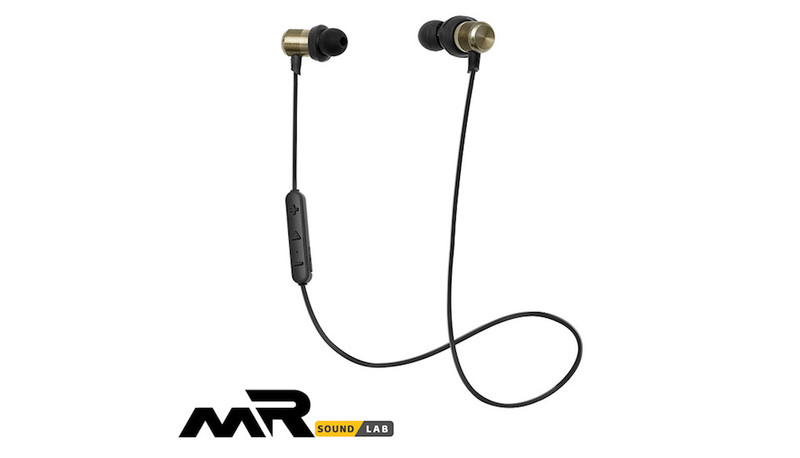 Built-in industry leading superior wireless stereo chipset CSR8645, able to transfer high-fidelity stereo sound quality with APTX codec technology and CVC noise cancelling technology. 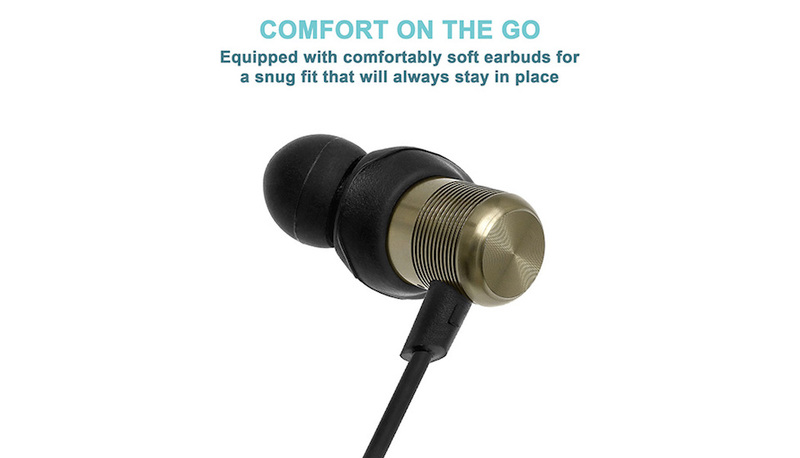 Guarantees high definition stereo sound quality and provides steady Bluetooth connection and support stereo lossless music. 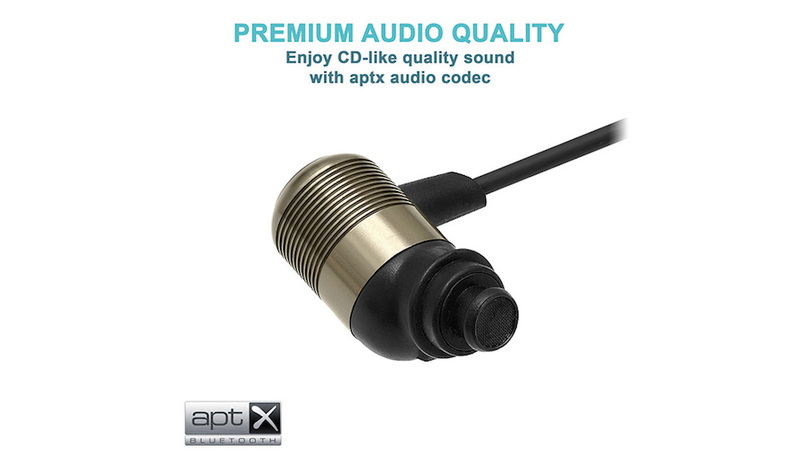 This technology helps set a new standard for wired or wireless stereo audio quality. Long lasting talk time / music time, up to 6 hours of usage. 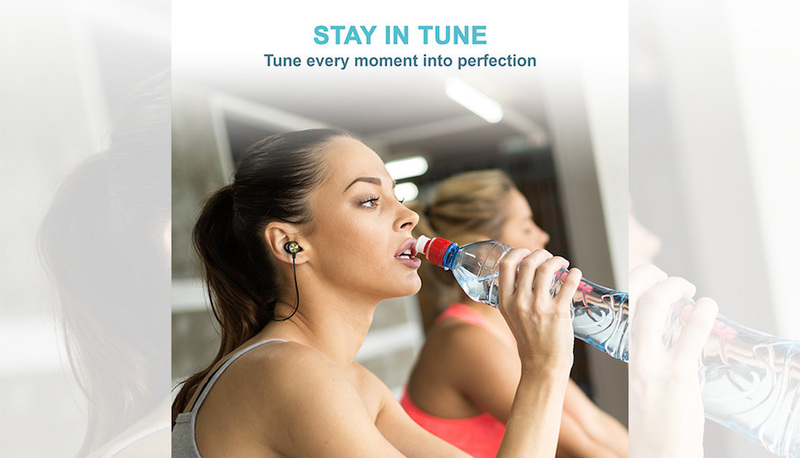 Playtime varies according to volume level and audio content; 120 hours standby time and 1.5 hours charging time; super light weight design that you won't feel during your workout at the gym. 6mm drivers deliver crisp and clear music to your ears via a smooth, skip-free connection. 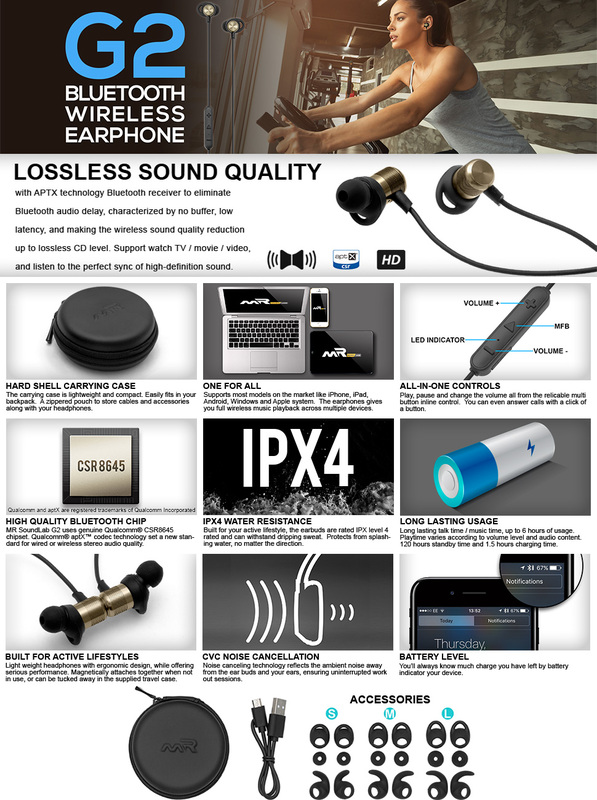 Light weight wireless headphones with ergonomic design, while offering serious performance. 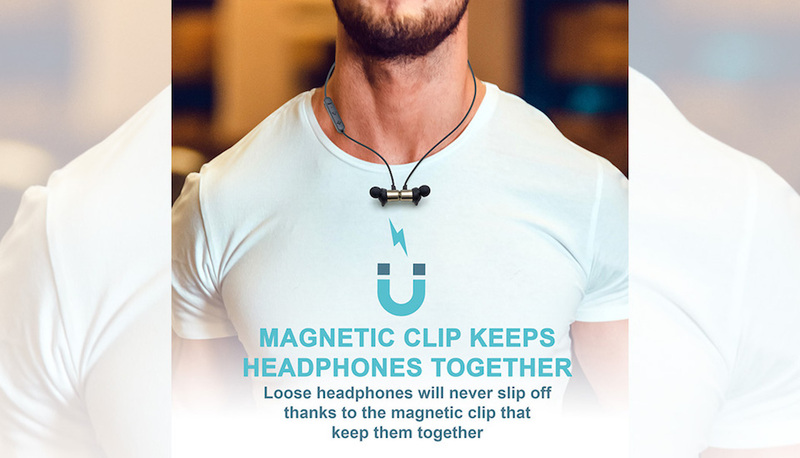 Magnetically attach together when not in use, or can be tuck away in the supplied travel case. 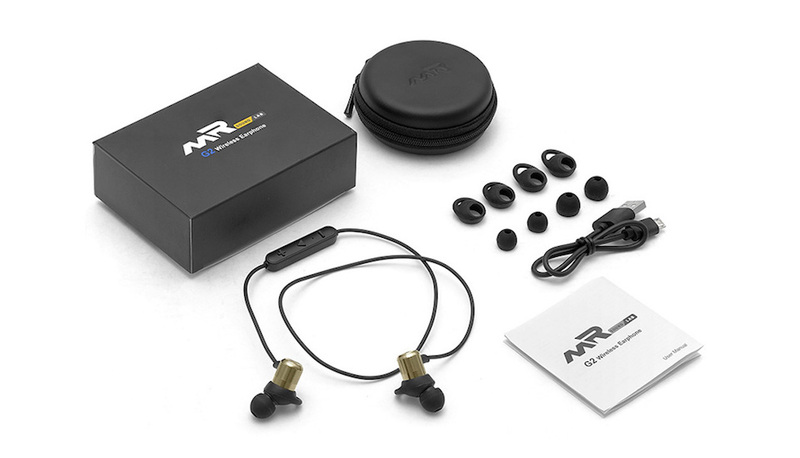 The in-ear headphone is designed for sports. The ear-hook holding system provides a secure and comfortable fit; Adjust the volume, play/pause, select songs and answer/hang up calls effortlessly with the inline remote. The included multi-size ear-tips and ear-fin provide a sturdy and comfortable hold. 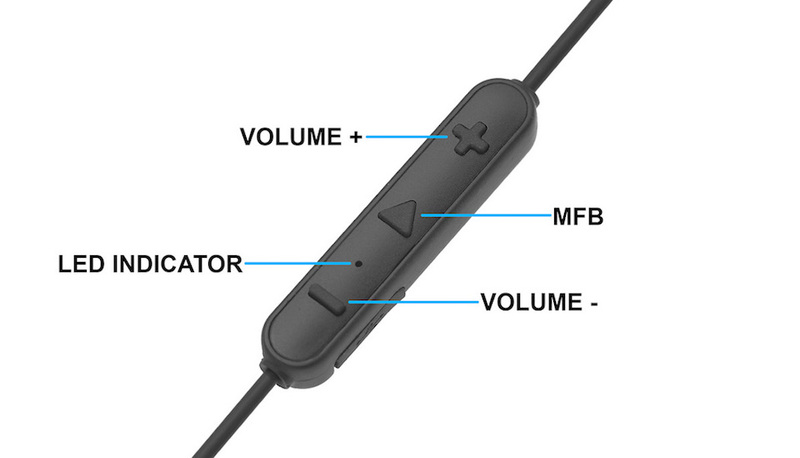 The cable measures 22.5 inches for universal fit and no annoying tangles. Built in battery last up to 6 hours of continuous usage; Bluetooth ensures a connection range of up to 30 ft; Offers fast pairing with Smartphone, tablets and other Bluetooth devices; Compatible with iPhone, iPad, Samsung, Nexus, HTC and many more; A voice prompt provides notification of incoming calls, so you will never miss a phone call. The built in microphone and 3-button remote provides effortless control, from adjusting the volume, play/pause, skipping a song, and to answering a call without touching your phone. You can answer/ decline phone calls by just pressing the multifunction button once/ twice, without ever touching the device. You also can switch between two phone calls.